It’s that time of the week when we take a quick look at what movies are hot at the US Box Office. These figures are for US Box Office July 7 2017. Any ideas what’s taken the top spot on at the US cinema? Well it’s somewhat of a web of intrigue with Despicable Me 3 falling to number two but still taking an impressive $33,580,425 on its second week on the chart. That leaves the way clear for a certain Spider-Man weave his web all the way into number one position taking wait for it, a massive $117,027,503. Judging by Spider-Man: Homecoming’s first week takings I don’t think we will have to wait too long for a follow-up movie. One of this week’s highlights is the release of the film Ghost in the Shell, but more on that on Thursday. 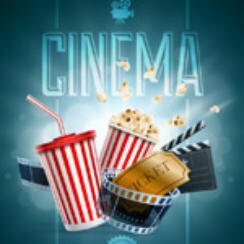 US Movie Charts June 29 2018: Which movie is at number one this week?